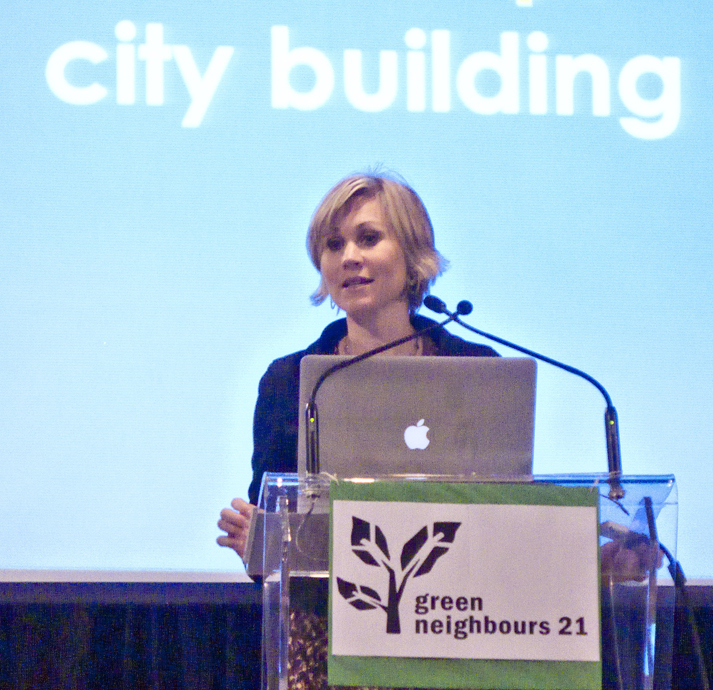 Jennifer Keesmaat, Toronto’s chief city planner, hasn’t stopped talking since she took this job. She has been speaking everywhere in the city to constituencies big and small. She uses Twitter, has a blog, even did a TED talk. 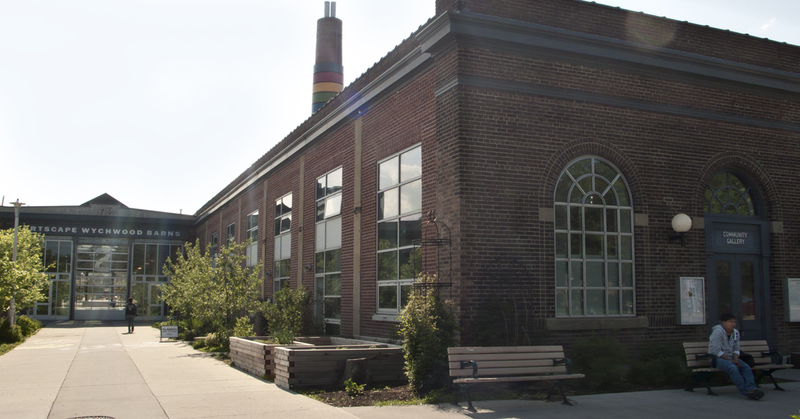 When she spoke recently at the Wychwood Barns Salon Series, organized by Ward 21 Councillor Joe Mihevc, she began by laying out the scope of current development in the city. 1. A spectacular public realm – Our common spaces are the fabric which knit our lives together and make place for civic life. 2. Transportation – We want to direct growth to places with best access to transit, and we need revenue tools for enhanced transit. 3. 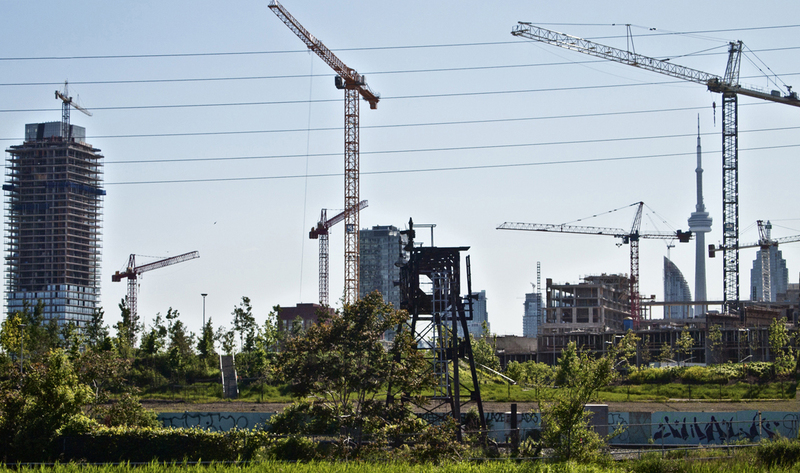 Economic Prosperity – Condos everywhere is short term profitable, but we must take the long view in planning and protect community assets, employment lands and affordable housing to make a city for all. 4. A City for the Future – we must make spaces that can adapt and change over time, build considering weather patterns and climate change, and plan for resiliency. I liked what she said. I liked how she said it. She emphasized the positive and still directly addressed the urgent issues we are facing. She is straightforward, smart, articulate and has a vision of the city I would like to see implemented. So I wondered just how that would happen. Huge towers just seem to go up wherever a developer decides there’s money to be made building them, whether or not they enhance the city or are welcomed by its citizens. What can she really do? Take, for example, the Avenues. Toronto’s Official Plan classifies arterial corridors throughout the city, such as Eglinton and St. Clair West as ‘Avenues.’ The city has a process for conducting Avenue Studies to determine for each individual avenue thoughtful criterion to intensify to a degree compatible with adjacent neighbourhoods. Downtown, as we all can see, is well-saturated with high rises, but there are other parts of the city also served by existing infrastructure where intensification can be accommodated. 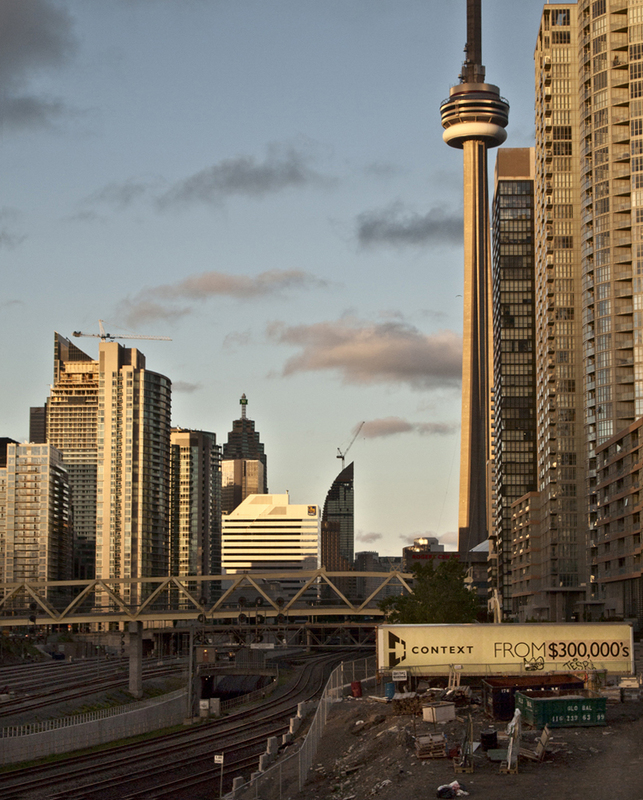 Keesmaat would like to see development spread further across the city with more mid-rise buildings along the Avenues. Me, too. In fact what she is advocating has been a city goal for quite some time now. The increase in density along avenues can revitalize local shopping areas and take advantage of new dedicated transit lanes. It allows for more variety and affordability in rental stock as well as condos, so people can live near jobs and urban amenities, which increases everyone’s quality of life. It allows older people who wish to downsize the chance to stay in their own neighourhood. Forestalling Manhattanization makes a city for everyone, not just those rich enough to afford to live downtown. For St. Clair Avenue West, for example, the recommendation is 7-9 story mid-rise buildings, where the norm now is 2-3 stories with retail on the ground floor. I participated in the city’s public consultations during the Avenue Study, blue-skied and applied my little sticky notes to the paper street scape lining the room, all of us hoping our little brainstorms and local innovation ideas would add up to the St. Clair we always wished for. And how many years ago was that? 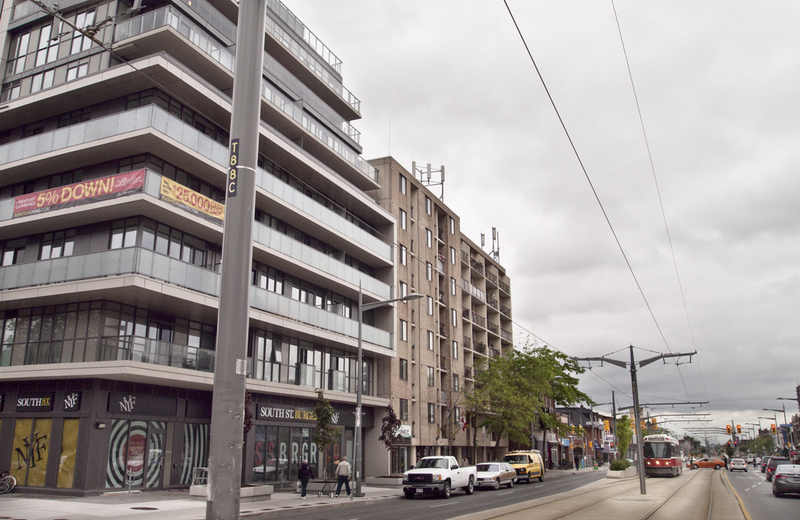 The St. Clair Avenue West Study was completed in 2009 and the bylaw amendments were adopted by council, but can not be implemented because the changes were immediately appealed to the Ontario Municipal Board (OMB). According to the City’s website, “These By-laws have been appealed to the Ontario Municipal Board and will not be in full force and effect until a decision has been rendered. In the interim, the current policies zoning provisions will continue to apply to the properties in the area.“ Since 2009. What can the chief planner do about developing the Avenues? For developers, dealing with zoning applications to the city can be so time-consuming and expensive that there’s a natural incentive for them to get their money’s worth and build big. Her idea is to ease zoning processes making mid-rise construction “as of right” rather than requiring application for a zoning change for every project. 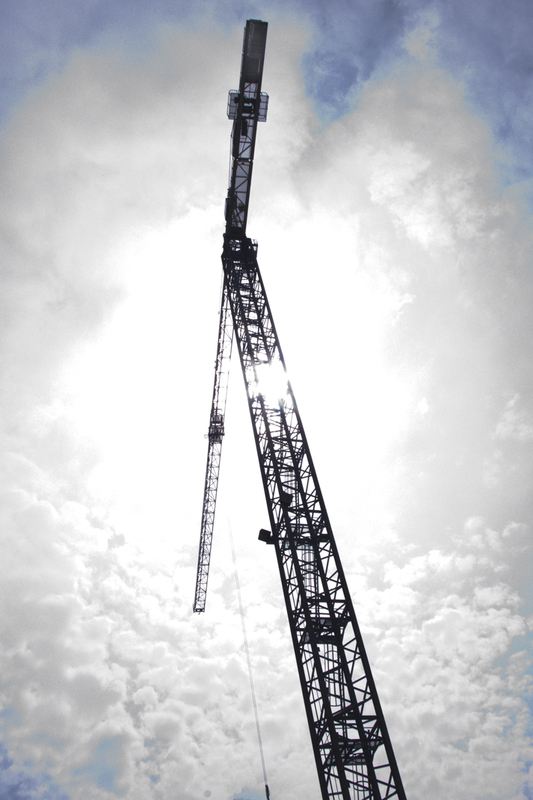 Developers could then afford to build smaller, and small developers could have a chance to build at all. She would like to make this small change, but it’s city council that must pass it. What she is doing with this suggestion is thinking tactically. 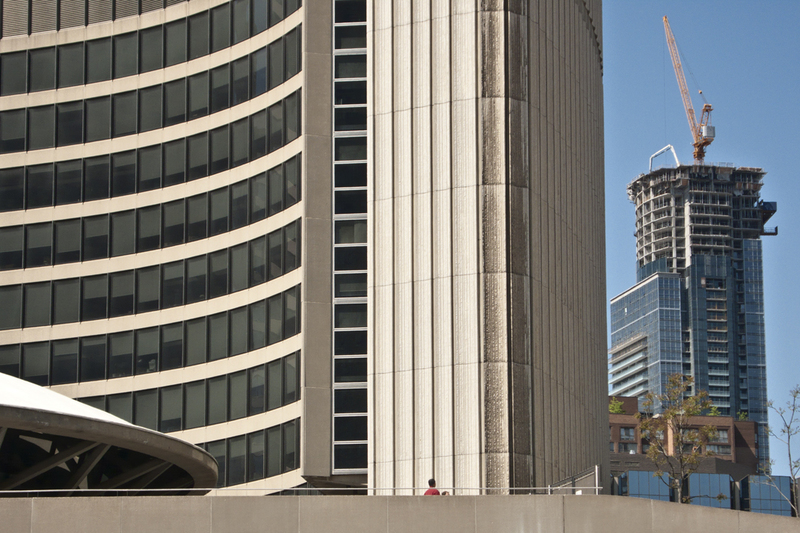 She is providing councilors with a way to direct city development with one simple change that, once in force, will remove this class of development from the purview of the OMB. It’s consistent with what councilors have already endorsed by incorporating the Avenue Study recommendations into the Official Plan. It’s just that the way municipal law is structured, the zoning changes must be passed to implement the vision in the Official Plan. It’s possible that the zoning change will be challenged if passed and we will have to wait for the OMB to rule, but if that happens it will be a one-time decision rather than a case-by-case zoning variance for every project. Any highrise proposal would still need to apply for a zoning variance, and the practice of horse-trading between local councilors and developers, which secures those approvals by providing local amenities, can continue unabated for those large projects. So, does it do us any good at all to have an intelligent and articulate chief planner? Absolutely yes. Keesmaat understands the convoluted structure that Toronto is saddled with, that of municipal governance with provincial oversight. She has vision and ideas and encourages citizen engagement using every communication tool at her disposal. She sees her role as providing leadership. Her approach seems to be both strategic, looking at the big picture, and tactical, suggesting tools and ideas to move the plan along. But her success depends on us. We should take advantage of her expertise, participate in that conversation with the planners and each other, and learn and develop our vision of the city together. But it is elected representatives, not city staff such as planners, who implement policy. We have to elect people who know that we are passionate about where we live, that we expect them to respect citizens’ municipal decisions and to implement our planning recommendations. And we have to actively hold them accountable between elections, throughout their terms. Municipal and provincial – all of them.